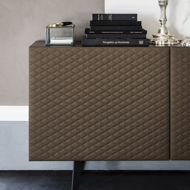 The ABSOLUT 3 Door Sideboard features quilted soft leather doors with embossed titanium aluminum profiles. 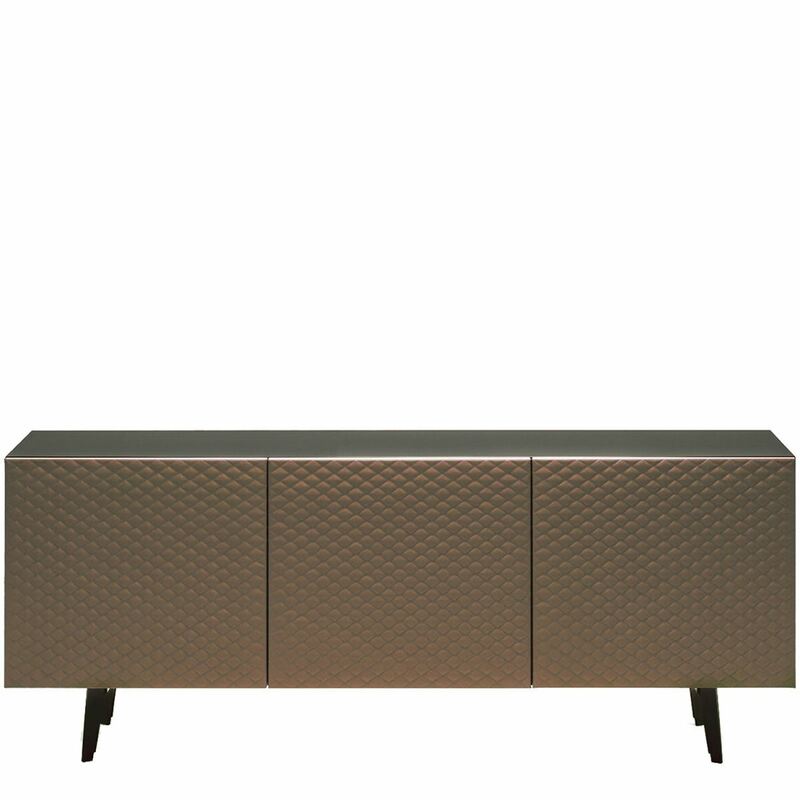 The top and sides are done in a graphite embossed wood, with a matching embossed steel base. Internal clear glass shelves allow for functional storage. 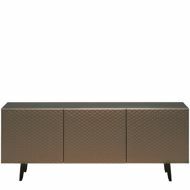 With the three door version, you also have the option to add one internal drawer behind the central door.